Tell us something about you and your offering? I am a Tarot Reader, Reiki Master, EFT Trainer and Publisher/Editor of Kaleidoscope Ezine. Having completed MBA from Delhi University followed by Masters in Psychology, I went on to following my passion that had enabled me to find answers for my life and my path rather than getting into a corporate job. Give us an in-depth understanding about EFT Therapy? My whole approach is towards coaching and empowering an individual to find their path and realize themselves and their own truth. Each of the therapies is aimed at doing that in different ways at different stages of evolution. EFT has helped me the most in the present to evolve myself into a more aware state of being. EFT is short for Emotional Freedom Technique which is a beautiful amalgamation of ancient science of Chinese Acupuncture and Modern Psychology. It is also famously known as tapping or acupuncture without needles. 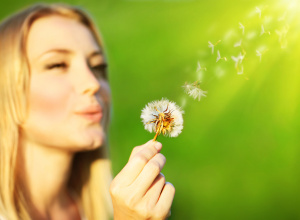 Emotional Freedom Technique or EFT, like other methods in energy psychology or energy medicine, is based on the belief that our bodies have energy circuits or energy meridians. This dates back thousands of years. When our bodies are in balance, we are healthy. When out of balance, dis-ease occurs. It works on the energy system of the body and clears the emotional fog or the negative emotions and negative memories helping the individual to reach a more balanced state of being thus bringing about physical, mental and emotional healing. Any conflict in the relationships or problem in the finances or environment or sickness causes as well as is a result of imbalance in the energy system of the individual. Once that is healed, everything inside and outside the individual comes into harmony. EFT has helped people heal their physical health issues, emotional and financial blocks as well as it has been a tool for spiritual growth and evolution.EFT was originally designed to overhaul the psychotherapy profession. Fortunately, that goal has been reached as EFT has dramatically reduced therapy time from months or years down to minutes or hours. Along the way, it has been noticed that profound physical healings were also taking place. Vision improved, headaches disappeared, cancer pains and symptoms subsided and so on. It works wonderfully on clearing fears, phobias, self sabotaging beliefs as well as financial blocks to success. Who can and who should learn or undergo EFT Therapy? EFT sessions are usually 1 hour long and can address a wide variety of issues. It is useful for people of all ages wanting to experience healing benefits as well as resolving blocks to success and happiness in their life. EFT training is for 3 days which comprises of learning EFT for self and others, working on a wide variety of issues like physical pain, stress, addictions, cravings, fears and phobias, limiting beliefs and so much more. It is for people who want to learn EFT for themselves, their healing and spiritual growth as well as for people who want to work with others with EFT as practitioners. How EFT helped you to do the Namaste Happiness? EFT helped me become more self assured. It helped me release physical pain in the body and joints that I was suffering from since 1997 and helped me heal my panic attacks, anxiety and changed my outlook towards the world. It helped me see the world as a more supportive environment rather than a competitive world, I had formed a belief that it is a very competitive world which caused so much stress, anxiety and health issues ultimately. I saw conflict everywhere. Life felt like a struggle. With EFT, I began to release my old self sabotaging patterns and began to see the world in a new perspective. Consequently, my environment shifted into a more supportive world. Life no longer seems like a struggle but as a free flowing river. I experienced freedom inside and outside. Is there any science behind EFT therapy, we are wondering why it works? It is based on the energy meridians and that our body has a network of these energy meridians. Whenever we experience negative events, it creates an energy disturbance in the body that causes negative emotions. EFT clears this disturbance thus releasing negative emotions and bringing in a sense of lightness and freedom. Are there any levels and is s it necessary to take all the levels? EFT training has 3 levels. Anyone can learn it and benefit from it. One doesn’t have to necessarily do all the levels. However, as you work on yourself and keep going deeper within you, the more advanced levels of EFT help you work on your deeper issues in a more effortless manner. What are the common fears and myths related to EFT Therapy? One of the most common myth people have about EFT is that it’s a “one minute wonder or miracle.” Truth is in many cases there is instant relief with EFT, in most cases, persistent and consistent tapping is necessary to ensure lasting change. 1. Results depend on what specifically you are addressing and how thorough you are with EFT. 2. How consistently are you tapping. Consistency is the key for EFT to produce long lasting change. Just the way you need to take a course of medicines for a specific number of days, similarly with EFT, it pays to be consistent and persistent. Another common myth with EFT is you can do it by tapping along a script. Wrong! EFT works best when its your own words, describing the problem and stating affirmations in your language, and how you talk to yourself.